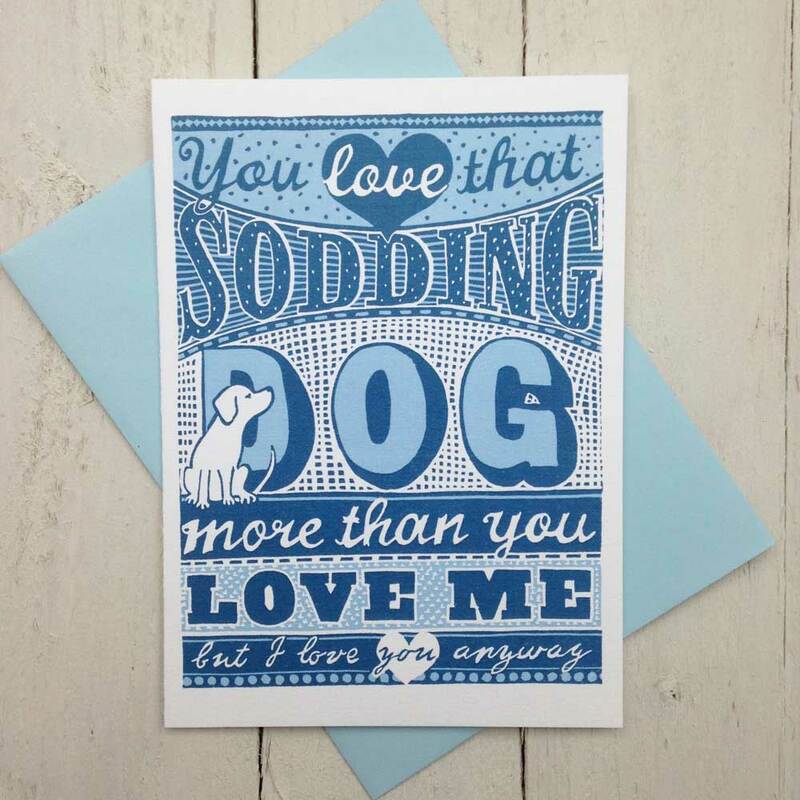 The Sodding Dog (“I love you anyway”) cards are re-created from the original Sodding Dog lino print... perfect to remind your dog-smitten loved ones how you feel about them. The sentiment always causes much amusement. 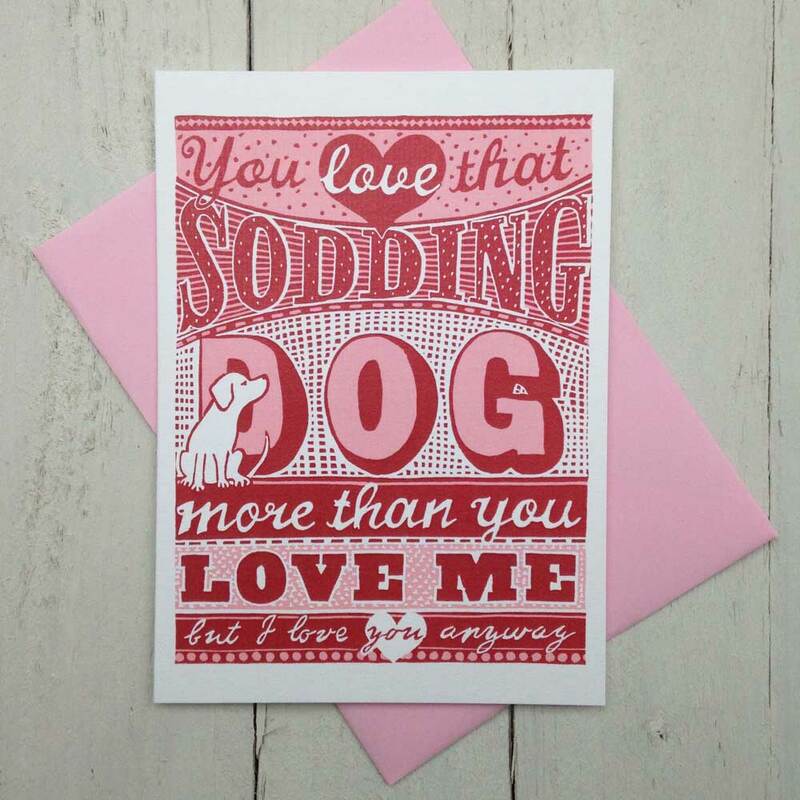 The cards are ideal for Anniversaries, Birthdays and Valentine’s Day or just anytime. Printed in the UK on traditional laid 300gsm card, each with a matching coloured envelope. Blank inside - choose red or blue. Your cards have arrived and they make me so happy. Thank you so much!